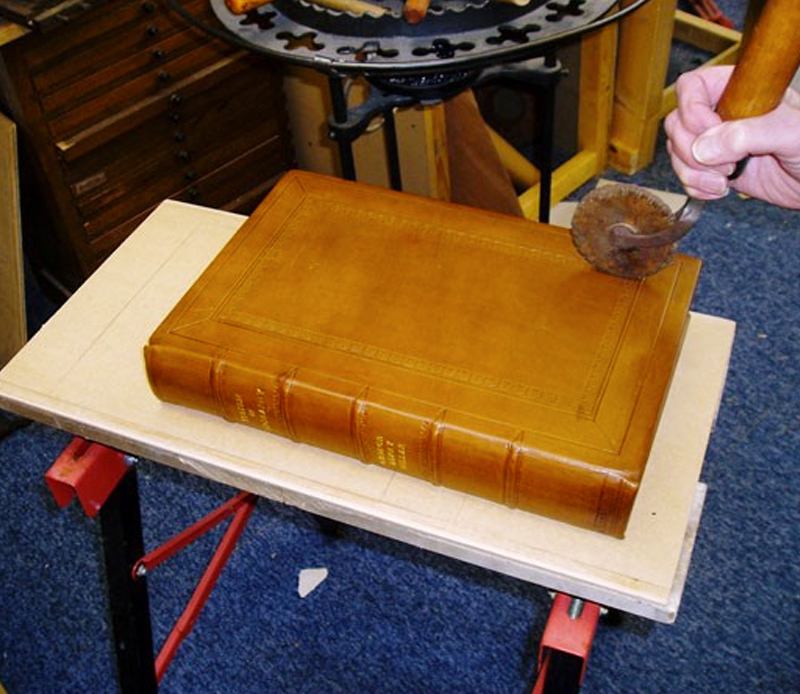 Sympathetic restoration of old and valuable books in cloth or leather. 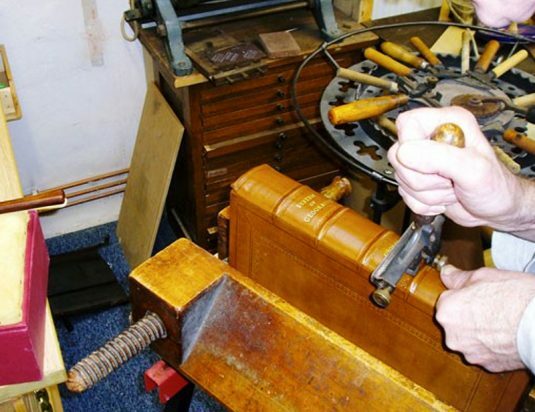 The usual place for a book to break is along the joint – this is the working part of the book. 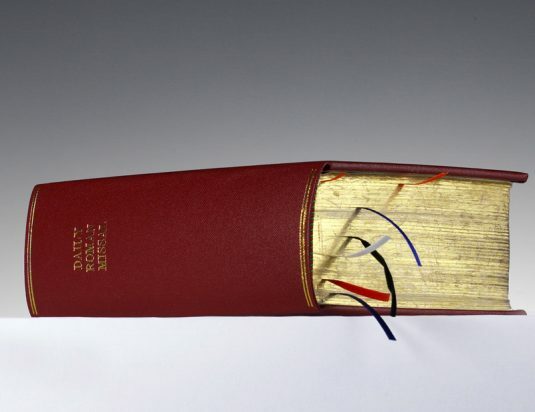 When this happens the book needs re-backing. 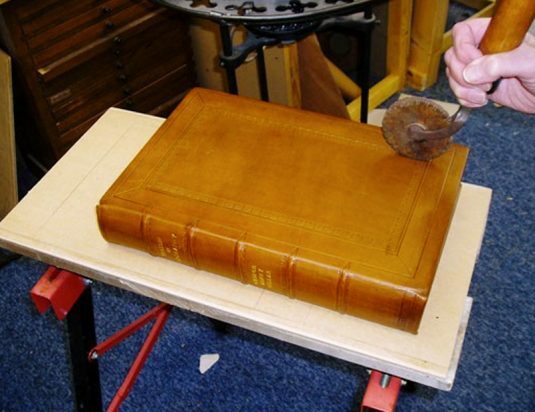 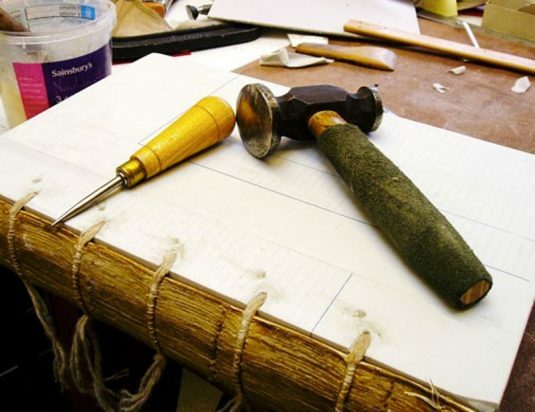 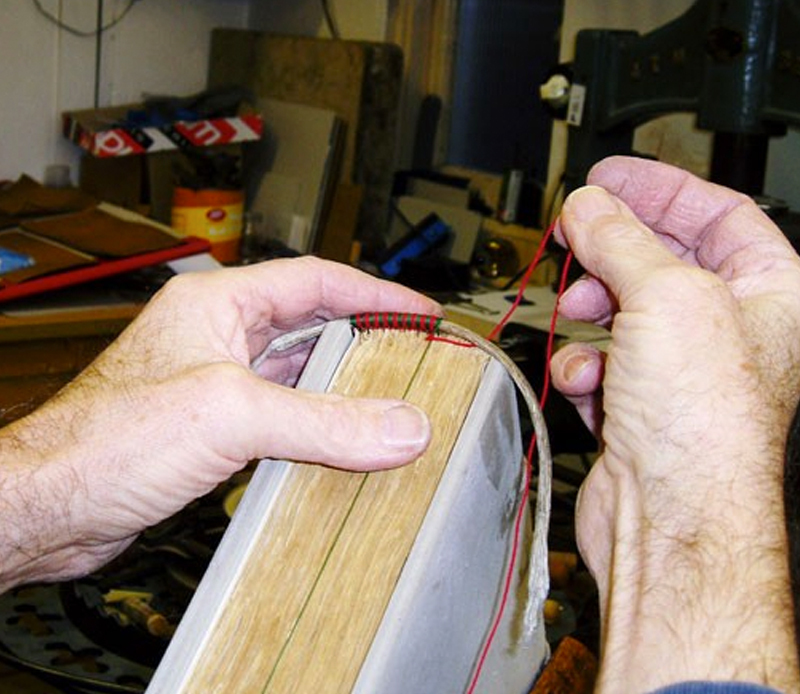 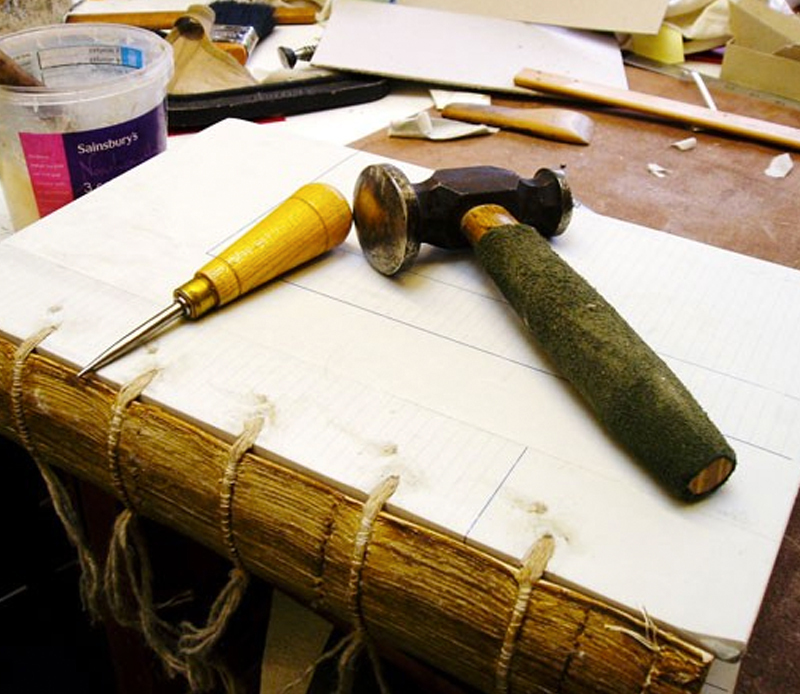 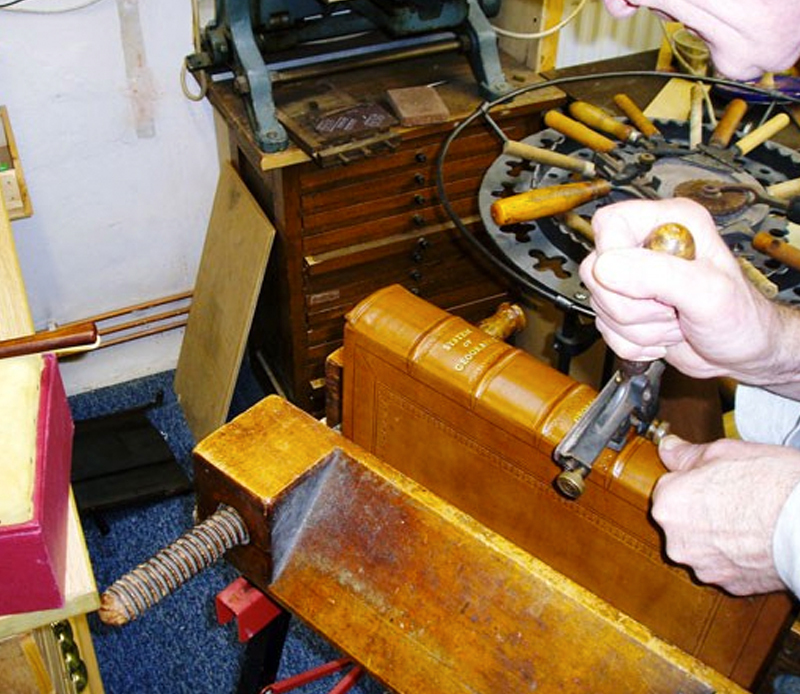 Re-backing is the process of lifting the old cloth or leather, re-binding the back of the book in a matching material, then re-fixing the old material on top. 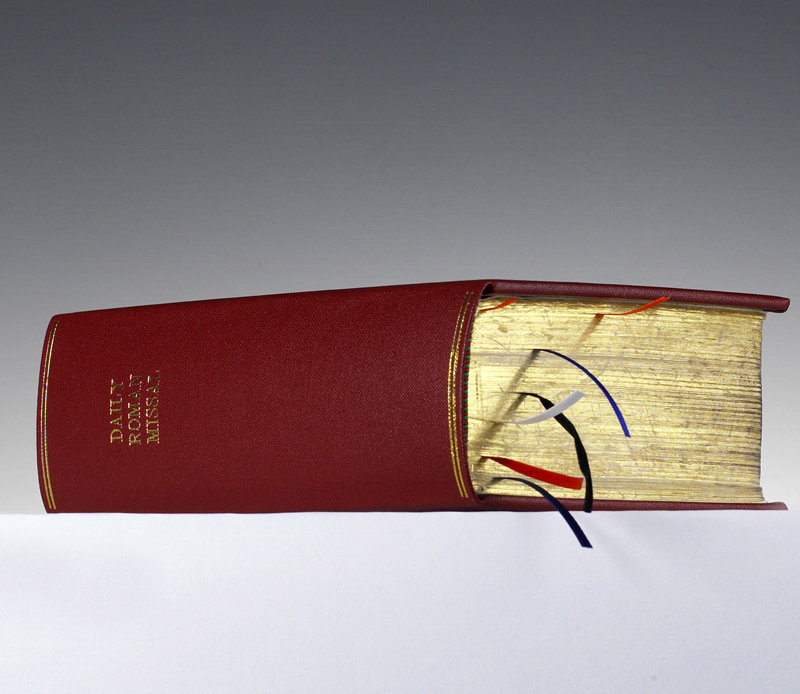 The old spine is then fixed to the new back. 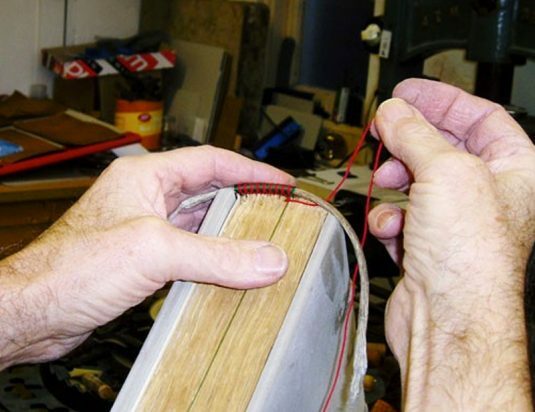 That sounds easy but it takes a little practice, maybe forty years or so! 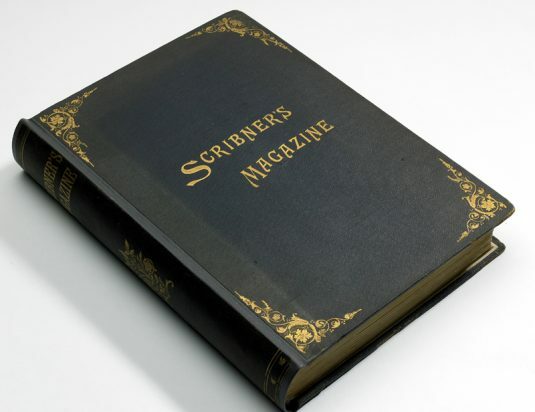 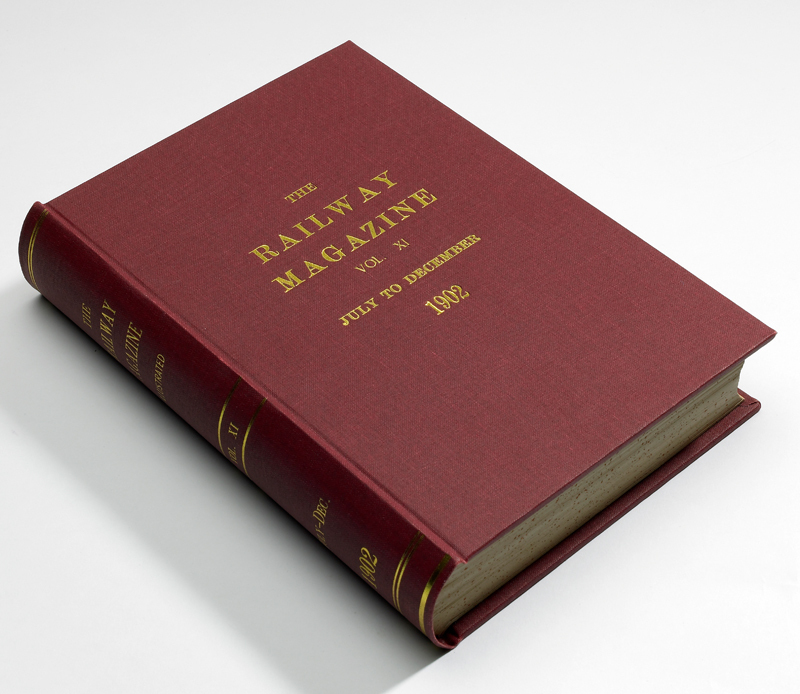 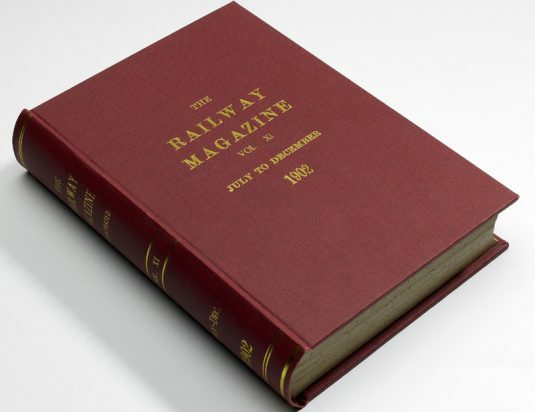 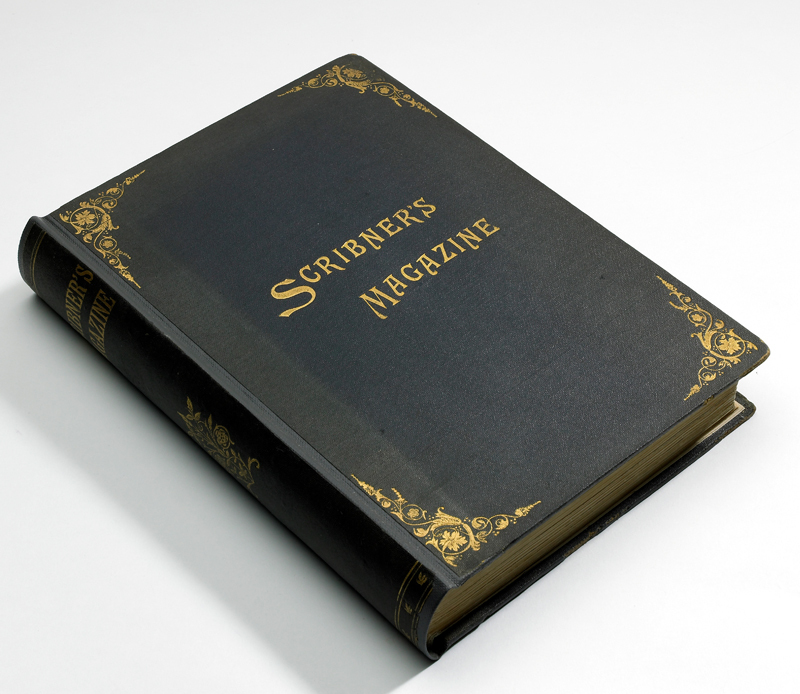 Corners are treated in a similar fashion; if the old spine is missing, the book is re-lettered in a sympathetic way, to match the age and style of the book.